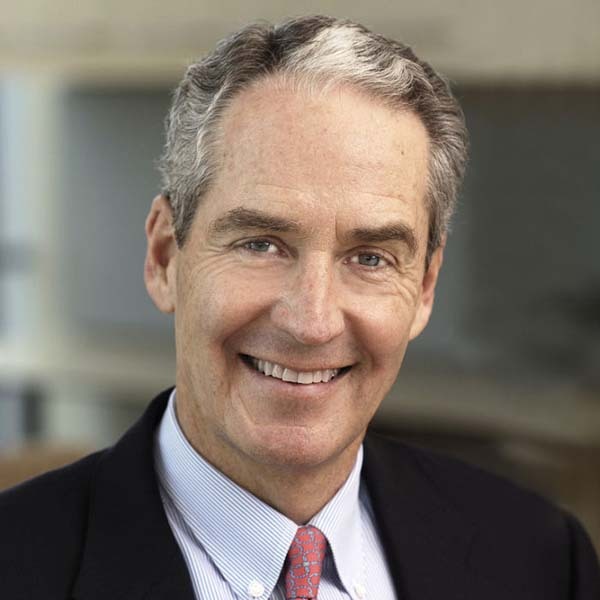 Christopher Galvin is Chairman and Co-Founder of Harrison Street Real Estate Capital a real estate investment management firm he co-founded with Christopher Merrill (the firm’s President & CEO) and Michael Galvin (the firm’s Vice Chairman). Mr. Galvin is also Chairman and Co-founder of Harrison Street Capital, a family investment vehicle, that invests Galvin only capital in non-real estate related companies. Additionally, he serves as Chairman of Gore Creek Asset Management LLC (the family office of the Galvin’s). Additional roles are serving as either Chairman or Board Member of UniqueSoft LLC, VelociData, evolve24, and MCR-Aerodyne Inc.
His current outside activities include: Trustee and member of the Executive Committee of Northwestern University’s Board of Trustees; Executive Committee and member of Dean’s Advisory Board of the Kellogg School of Management at Northwestern; American Enterprise Institute Board; Legion D’Honneur; Advisory Board of Tsinghua University School of Management and Economics (Beijing); the American Society of Corporate Executives; the Board of the Chicago Council on Global Affairs; Advisory Committee on International Economic Policy of the US Department of State (ACIEP). His former roles have been: Chairman and CEO of Motorola Inc.; Chairman of NAVTEQ Inc.; Chairman of Cleversafe Inc.; Chairman of the U.S.-China Business Council; member of the Bechtel Corporation's Board of Counselors; board member of NanoMech Inc., member of Business Council (U.S.); director of the Rand Corporation; member of the U.S. Department of Defense Manufacturing Board; member of the U.S. Department of Defense Science Board; advisor to the City of Tianjin, China; advisor to the CEO of Hong Kong; Chair of the Rhodes Scholars selection committee for Illinois-Michigan. Mr. Galvin's departure from Motorola Inc. was most recently chronicled in Harvard Business School Professor, Ram Charan's book, Boards That Lead, published 2014. ADVANCE REGISTRATION REQUIRED. Visitors must present a valid photo ID to building security on the plaza level. After checking in with security, please proceed to the 40th floor, the Firm’s main lobby. Check in on 40th floor, stair access to 41st floor. Please advise in advance if you require elevator access to 41st floor.